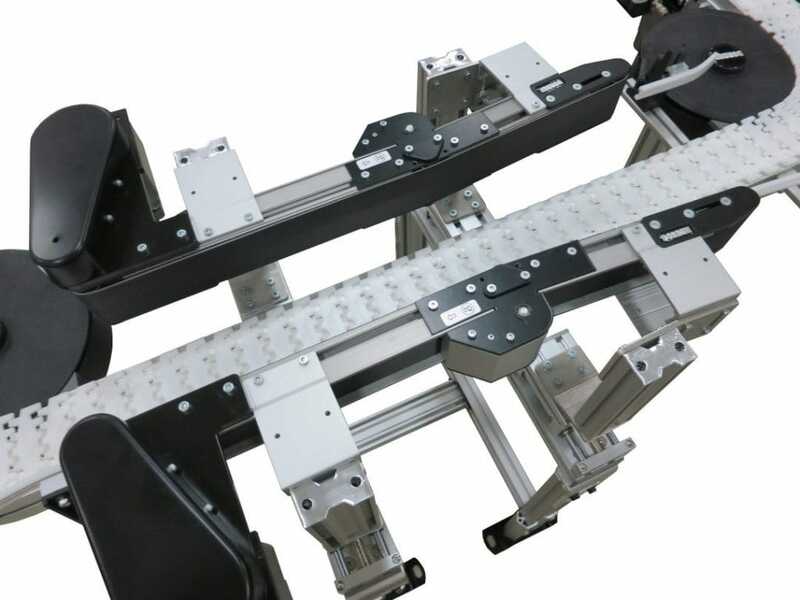 Bottom-less conveyors provide a simple solution for accessing the underside of a product for application such as inspection, printing, labeling or edge sealing. This system works with both boxes and flexible pouches/packages. 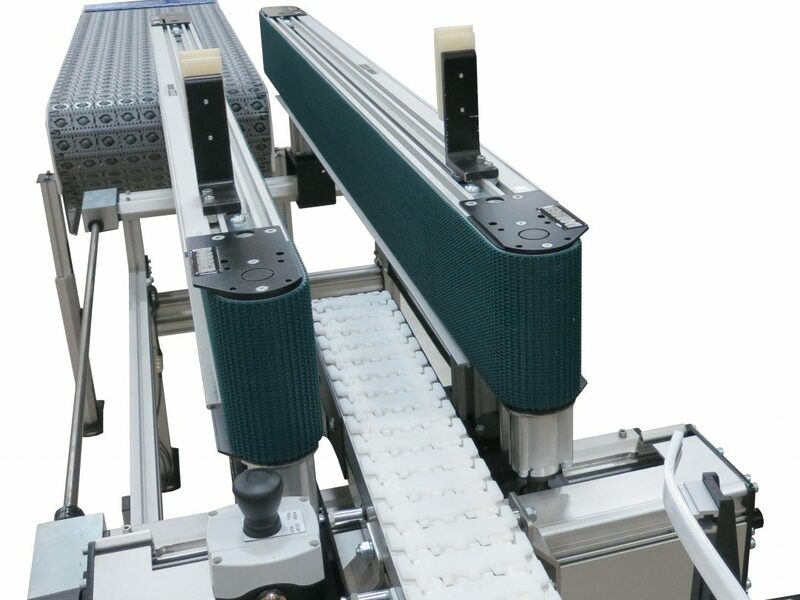 Two conveyors are mounting on edge and adjustable for a variety of product sizes. Once the conveyors are adjusted to the proper width products are “locked” in place and can transfer to the next phase of production. This design can also be used in line over another conveyor to pace product.